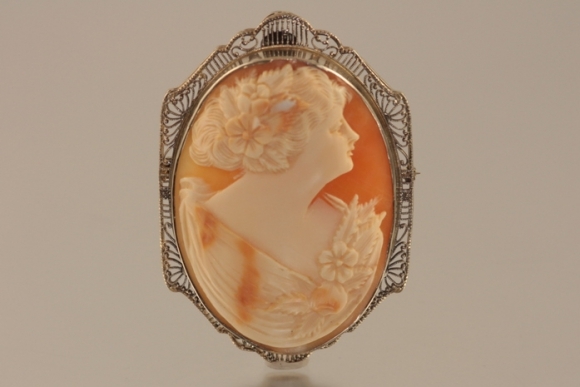 A beautifully carved shell cameo with a right facing lady adorned with flowers in her hair on on her dress. Richly detailed, the cameo incorporates depth of color from the shell which enhances dimension. 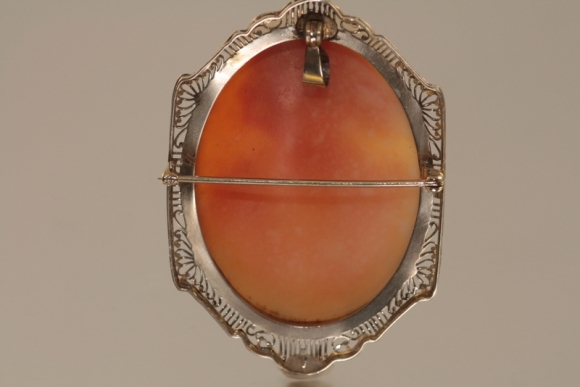 The cameo is framed in a 14K white gold bezel with delicate filigree ornament. 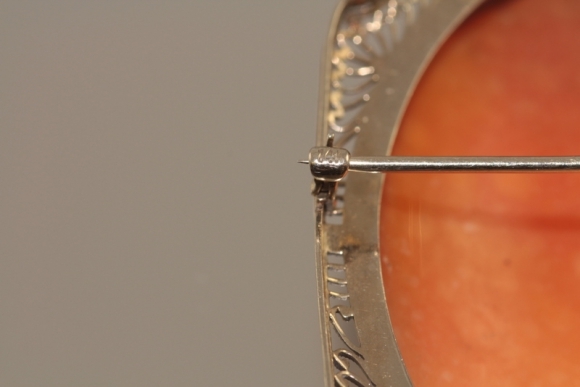 The brooch measures 2 3/8" by 1 5/8". The brooch has a fold down bail and may be worn as a pendant. Circa 1920.